As many seniors think about retiring abroad, a big concern is how much they will have to pay for quality healthcare. Fortunately, certain countries provide healthcare that is less expensive than in the United States but often just as good. As many seniors think about retiring abroad, a big concern, especially for those with fewer resources, is how much they will have to pay for quality healthcare. Fortunately, certain countries provide healthcare that is less expensive than in the United States, but often just as good. Often these countries’ doctors have trained in the United States, and hospitals commonly offer the same high-tech equipment and cutting-edge treatments. Most of these retirement-friendly countries have a two-tier health system. The public government-subsidized side, available to both citizens and foreign residents, is low cost. But even the private healthcare system is less expensive than in the United States. In fact, costs are so low in some places that foreign residents simply pay out of pocket. In others, residents mix and match public and private systems to get the most for their dollar. Some countries require an immigrant to show evidence of adequate funds before moving to the country, but each country differs, so check the country’s immigration website. Costa Rica. Healthcare here—in both the public and private systems—is considered among the best in Central America. The cost forCaja, the country’s universal healthcare system, is determined by your income but generally only runs $30 to $90 per person per month, which covers everything from prescriptions to doctor visits to testing to surgeries. The public health system has a large network of clinics and hospitals throughout the country. But while emergencies are treated right away, wait times for routine procedures can be up to several months. 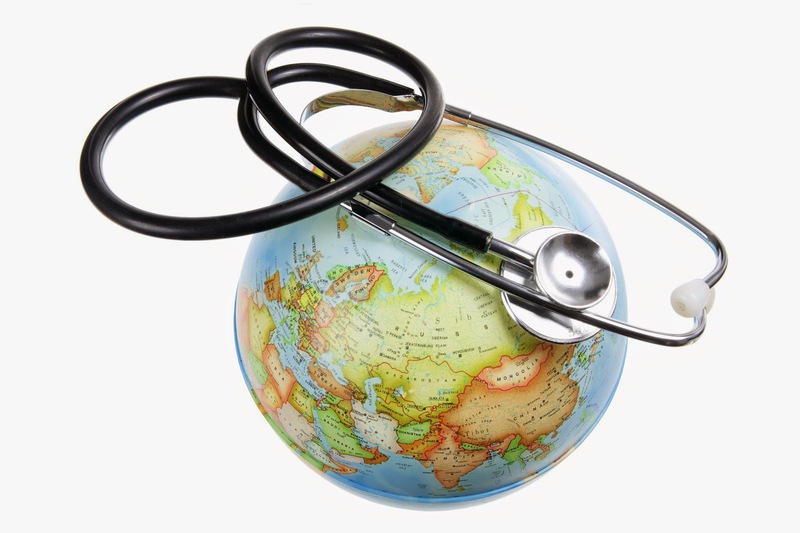 As a result, many expatriates use a combination of the public and private healthcare systems. In the private system, wait times are practically zero and doctors are very accessible. The costs for most procedures are as little as half the U.S. rate. A visit to a general practitioner can run $50 to $60, for instance, and $80 to $100 to see a specialist. House calls are an extra $20 to $30. While the rates are low enough to pay out of pocket, you can get low-cost private insurance through the government-affiliated Instituto Nacional de Seguros. Annual premiums are in the low $2,000s for those aged 55 to 65, up to the $5,000 range for those aged 76 to 80. Several hospitals are affiliated with U.S. hospitals, and many Costa Rican doctors were trained in North America and speak some English. Malaysia. Considered one of the world’s busiest medical-tourism hot spots, Malaysia’s quality of care is equal to or better than care offered in most Western countries. Malaysia has seven internationally accredited hospitals, and doctors usually speak English. Because Malaysia has no medical schools, doctors are trained overseas, usually in Europe, Canada, Australia or the United States. A check-up at the doctor’s office costs $16, the same price as a house call. Visiting a specialist can cost as little as $4—usually it’s $16. A hip replacement that costs $80,000 in the U.S costs $20,000 in Malaysia. A facelift that is $20,000 back home costs $4,000 here. And a serious operation like heart surgery, which can set you back up to $180,000 in the States, is around $14,000 here. The state of Penang, one of the most developed and economically important states in the country, as well as a thriving tourist destination, has six government hospitals and nine private hospitals. National health-insurance plans charge premiums of about $400 to $1,000 a year per person, and private health insurance is also available. Panama. Panama boasts the best healthcare in Central America. Many specialists speak English and are affiliated with international medical associations. Panama City’s “big four” major hospitals are all affiliated with U.S. hospitals. Punta Pacífica, the newest of the “big four,” is affiliated with Johns Hopkins and is Latin America’s most advanced facility. Most medications found in the United States are available in Panama. An inhaler that costs more than $50 in the States is $7, and no prescription is needed. Although Panama has a public-health system, inexpensive local insurance provides low-cost access to the city’s first-rate hospitals. You can also get hospital-membership plans that offer substantial discounts on everything from consultations to surgeries. Membership costs vary, but they are generally less than $150 a month for a couple. France. France’s universal healthcare system, in both the public and private systems, is excellent and affordable. The public side pays around 70 percent of most medical costs, including doctor’s visits, hospital stays and lab tests. Most French residents also buy insurance through a private insurer, called amutuelle, to cover all or part of the remaining costs. Foreigners must show proof of health insurance to get a residence visa for France. In the public system, expect to pay about $45 to see a doctor and about $78 to see a specialist. A private hospital will cost approximately $156. Waits to see a doctor or specialist in France aren’t usually more than a week or two, though it depends on the hospital and the procedure you need. Mutuelle coverage normally costs 50 to 100 euros a month per person. Uruguay. This South American country offers high-quality, affordable healthcare. Medical equipment is modern, and doctors are highly trained—in the country but also in the United States, Germany and Brazil. Although a public healthcare system is available, most choose a hospital plan called a mutualista, in which you become a member of a hospital and go there for all your healthcare needs. You make monthly payments to the mutualista and also pay a small co-pay when you see a doctor or have a medical test. One hospital’s $185-a-month healthcare plan requires only a $7 co-pay for a doctor visit or physical therapy session. One drawback is that most of the staff and many doctors in Uruguayan hospitals speak only Spanish. On the plus side, it’s easy to find good medications, both generics and brand-name drugs. Medication costs depend on your hospital plan; many offer a 50 percent discount. Mexico. Mexico has both a universal healthcare system and private healthcare. The public system has clinics, hospitals and pharmacies all over the country. However, the quality of the facilities can vary, and wait times can be long. But the top rate is only $300 a year or so, and all treatment is free—including prescriptions. Doctors in the public system are less likely to speak English well. In the private system—especially in the larger clinics and hospitals—many doctors speak fluent English and were trained in the United States, Canada or Europe. Many private hospitals are affiliated with hospitals abroad. In fact, at least two U.S. hospital groups own hospital chains in Mexico. There are also several excellent Mexican chains, whose hospitals are modern, well-equipped and much less expensive than their U.S. counterparts. A healthy individual of 60 or so should expect an annual premium of about $2,500-$4,000, depending on deductibles and other factors. At Mérida’s Star Médica hospital, a mammogram cost $60 (out of pocket) and a bone-density scan was $80. Ecuador. Expatriates praise Ecuadorean doctors who “put the patient first” and take time with their patients—up to 45 minutes for an office visit. In Ecuador’s major cities—Quito, Cuenca and Guayaquil—English-speaking doctors are fairly common, because many have gone to medical school in the United States. These three cities are also where you’ll find Ecuador’s most modern hospitals and most of the medical specialists. Costs are low—about 10 to 25 percent of what you’d pay in the States. For major surgeries, the cost is often less than 10 percent. While most healthcare consumers pay out of pocket, health insurance is available, and private hospitals offer health plans. Ecuador also has a public healthcare system, which does not allow choice of doctors and you must sometimes wait weeks for appointments. However, coverage is comprehensive, with no deductible. Retiring Abroad: Best Countries for Healthcare was featured in the May 2015 edition of Senior Spirit.